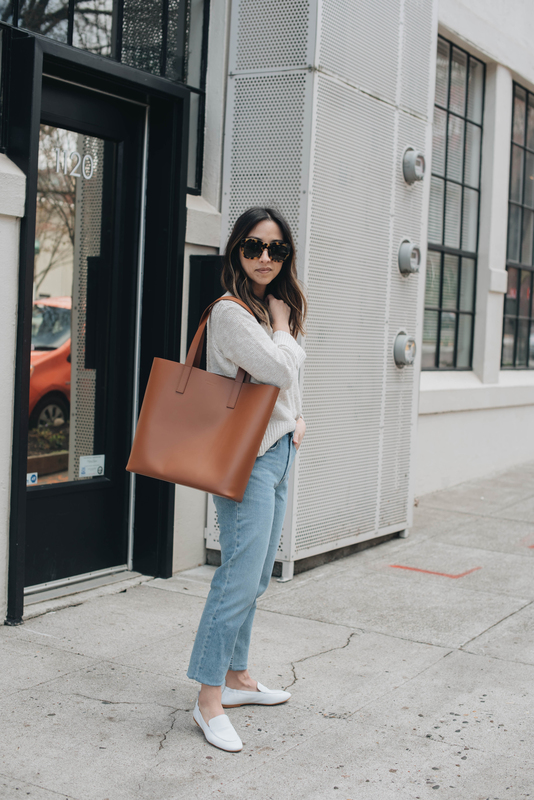 I told you there would be more Everlane to come. I can’t get enough and neither can you. You guys have been loving everything I’ve been sharing from them and Everlane has taken notice. I love when organic partnerships like this come about. Today, I’m excited to share their Day Loafers. 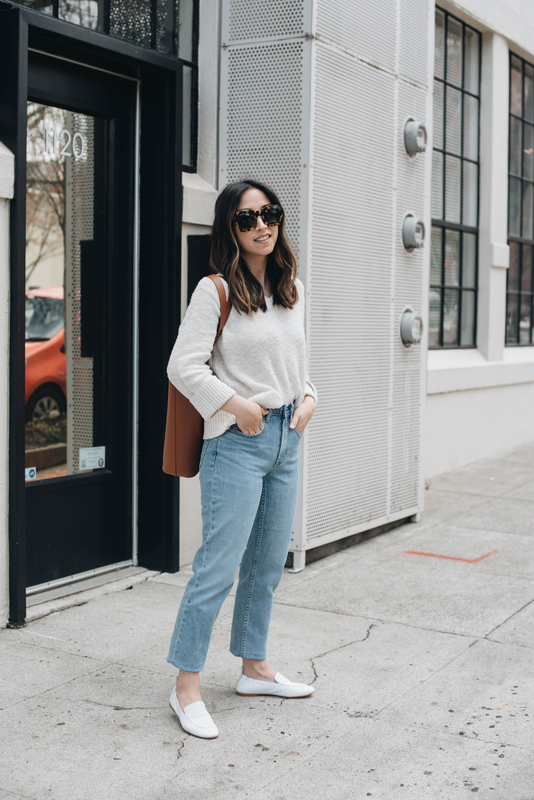 I want to say Everlane shoes typically run about a 1/2 size large on me and these fit perfectly, so I would suggest sizing up a half size. These are so light and airy, but well constructed at the same time. The leather is buttery-soft and comfortable right out of the box. 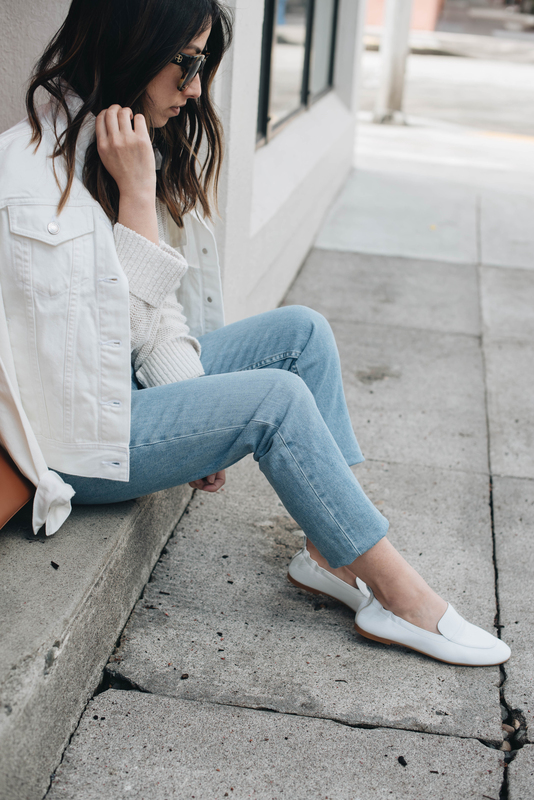 I love that these are casual enough for day-to-day wear, but also structured enough to be work-appropriate. I opted for white because I’m into any and all white shoes for spring and summer, but they also come in black, red, yellow, and caramel. 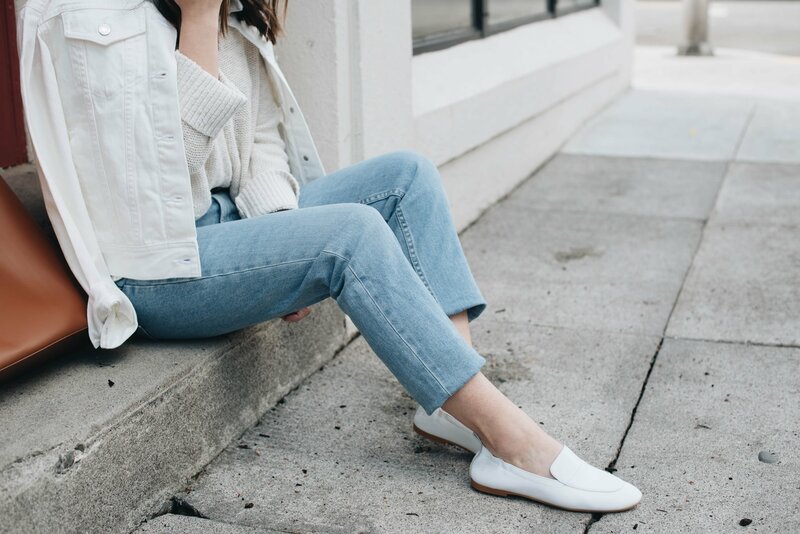 While this post is all about the Day Loafers, I have to talk about these cheeky straight jeans. They’re SO GOOD. 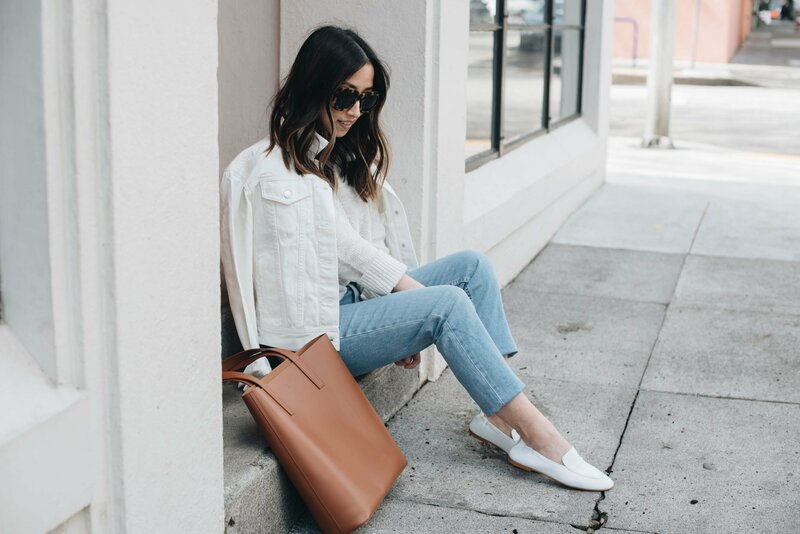 If you’re looking for a pair of light-washed, high-waisted, straight jeans, these are it! I sized down per the reviews. The waist is a little snug, but I have a feeling they’ll stretch out. Also, these are a 23 ankle, but the length runs long. I have them rolled under here, but I will end up cutting the hems (stay tuned for pics) for a raw hem look. Did I mention, they’re $68. These are hands down the best quality jeans for the price. 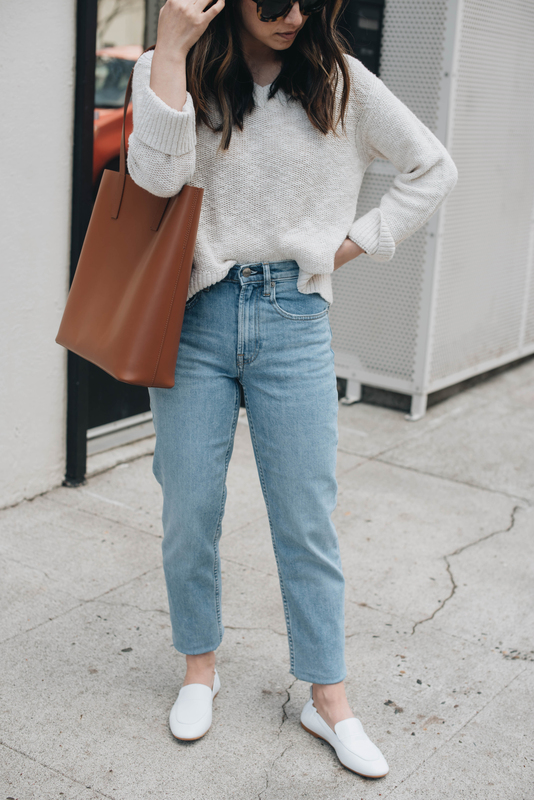 Warning you now, I will be talking about Everlane all year long and I’m not sorry about it, lol. 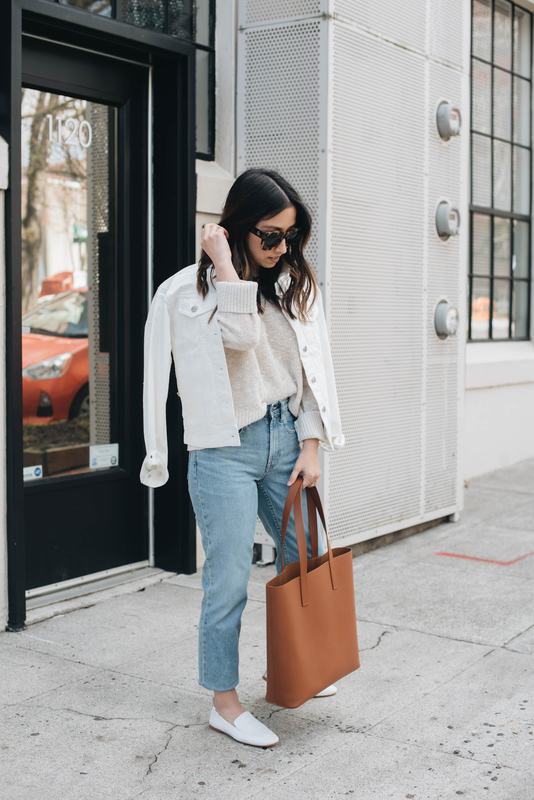 Special thank you to Everlane for partnering on this post. I love the day loafers! 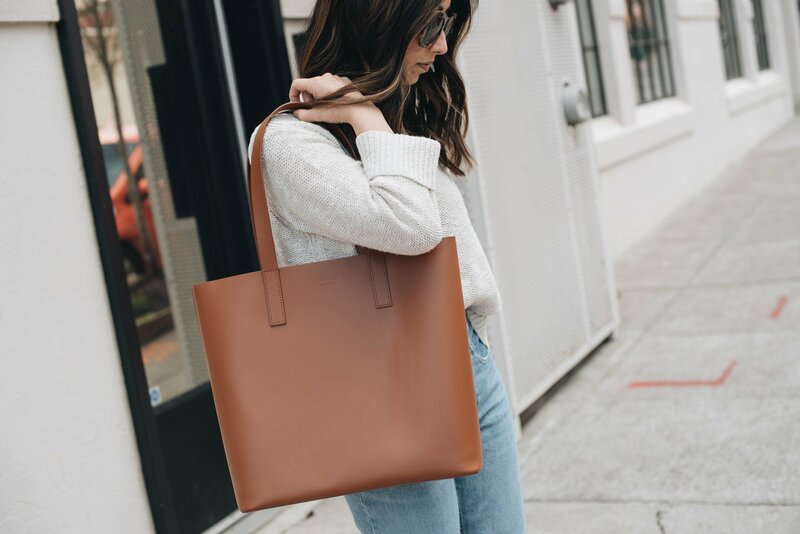 Everything that Everlane has is amazing!